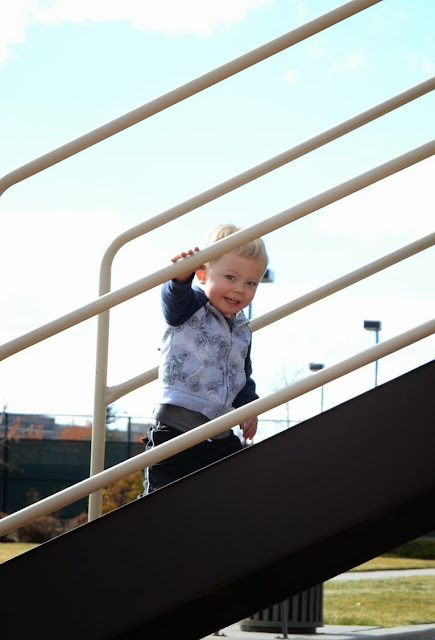 The photo is a little washed out, but I look at this little guy climbing the stairs at the park and think of how far we have come. The tears of PT, from both of us, were all worth it to be able to see him conquer the playground. He makes my heart swell.